This process has been around for quite a while, but gained much notice in recent months/years. As it has gained in popularity, it has also evolved to be more internet centered and less focused on traditional marketing channels. Content versus Conventional Marketing Strategies. Studies show that based on $dollar$ spent, effective content marketing will generate on average at least 3 times more leads than your more traditional marketing of the past. Gaining traffic via Search Engine Optimization techniques and an effective Product Guide write up will do more for your business than an old school conventional marketing plan. Lead Generation Diversity is the key. 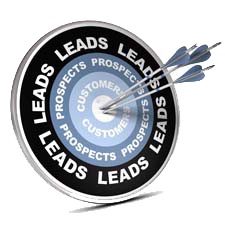 The days of same old same old lead generation are over. It is time to branch out, try different things and try multiple things. Example: social media. You don’t need to only target Facebook users. You can branch out to Twitter, Instagram, Snapchat, etc. You will reach a multitude of potential prospects by branching out and not limiting yourself to just one method. Lead Generation Tools like Visual Visitor. My personal favorite, Visual Visitor. Did you realize that about 70% of a potential customer’s “Buyer’s Journey” has been completed before they ever contact a sales rep? By identifying the visiting companies and providing actionable contacts, Visual Visitor will enable your sales team to enter the Journey early. How does Visual Visitor work? Visual Visitor’s powerful anonymous website visitor tracking and lead generation tool can actually tell you which businesses are visiting, how often they visit, how long they view your pages, and more! We tell you what they are looking for and where they are coming from!